A family yacht charter is the ultimate family vacation, allowing you a level of privacy, relaxation and adventure that’s near-impossible to find even in the most luxurious resorts. On a private yacht, the whole crew is dedicated to ensuring that each member of your family has the holiday of their dreams, from the toddler right through to the grandparents. On a family yacht charter, you can truly relax with your loved ones and create incredible memories. Are yacht charter holidays safe for young children? Yachting holidays are incredibly safe for children of all ages, as the professional crew are at hand at all times keeping an eye on the children. No guests ever swim without supervision, and children are always supervised on deck. When it comes to watersports, the crew are extremely experienced in safe and fun instruction. Superyachts are highly regulated for safety and the industry enjoys an excellent safety record. 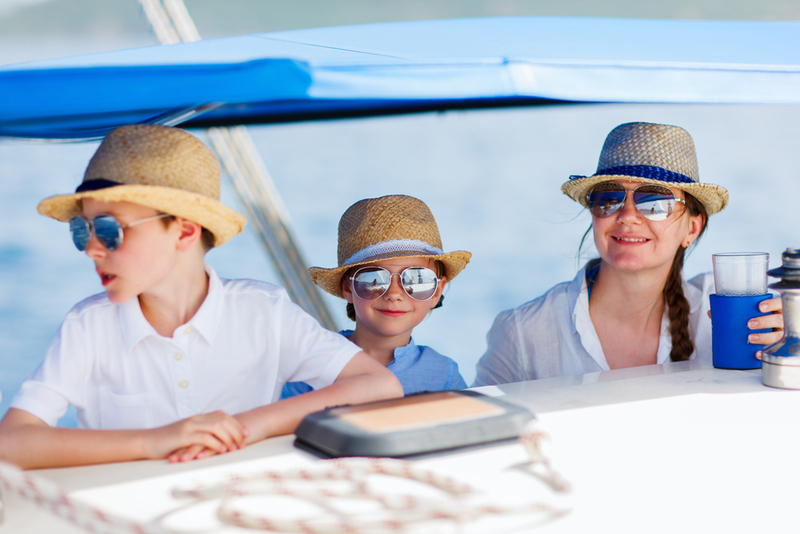 On a yachting vacation, every member of your family can completely relax, knowing you’re all in safe hands. Can we leave the children with the crew if we want to go ashore for dinner? While the crew will factor in time for some children’s activities into the charter such as games, watersports and perhaps some baking or crafts, in general the crew’s duties don’t include babysitting as their busy schedules rarely allow it. Some charter contracts will require that you bring along a nanny or child-carer for children under a certain age. 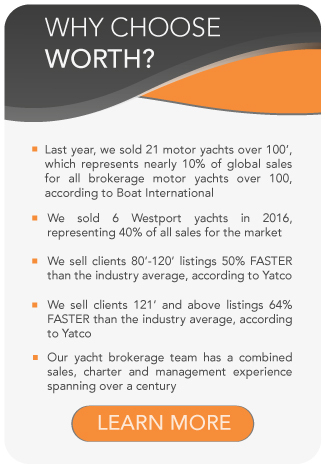 Worth Avenue Yachts can advise what is required and what the yacht crew can offer. Will the kids get bored? Unlikely! When they’re not learning to jetski, snorkeling coral reefs or having treasure hunts on tropical islands, they’ll be relaxing on board with the onboard games and entertainment systems. As we explain in more detail below, it’s wise to avoid destinations with long cruising distances to avoid the kids getting restless. The best luxury yacht charter destinations for families definitely depend on what your family likes doing, and the ages and interests of the children. For instance, where some teenagers might love a trip to the wilds of Alaska where they can kayak and hike and whale watch, others who like socializing and shopping might feel it’s a bit remote. Seniors might like a quieter pace or a destination with lots of sightseeing, where parents might just like to relax on a deckchair and be pampered for a change! As such, the best destinations for families offer a bit of everything, and, importantly, the points of interest are within fairly close cruises of each other (to avoid restless kids.) For instance, the US Virgin Islands and the British Virgin Islands are renowned as a brilliant family destination as there are lots of islands within a very short cruise of each other – and they offer something for everyone – from the shopping and nightlife of St Thomas to the peace and quiet of Anegada. In the Mediterranean, the Balearics and the French Riviera are both dense in different experiences and interests. 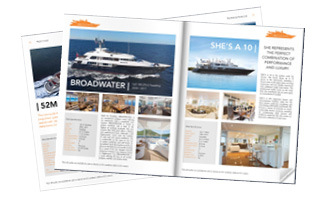 Worth Avenue Yachts are experts in finding the perfect yacht charter destination for your family, so get in touch to book a luxury family yacht charter you’ll remember forever.